A few weeks ago now I mentioned that I had been playing with the new embossing paste. I had heaps of pieces of embossed cardstock but hadn't made them into cards until now. Sometimes it's just nice to play even if you don't have a specific end product to blog about! I've been waiting to share the paste with my class ladies and this is what we made last week. We had alot of fun just playing with different stencils, colours and inks. I did get them to make some cards too! This first card we used Flirty Flamingo cardstock and reinker to create a subtle yet effective background. 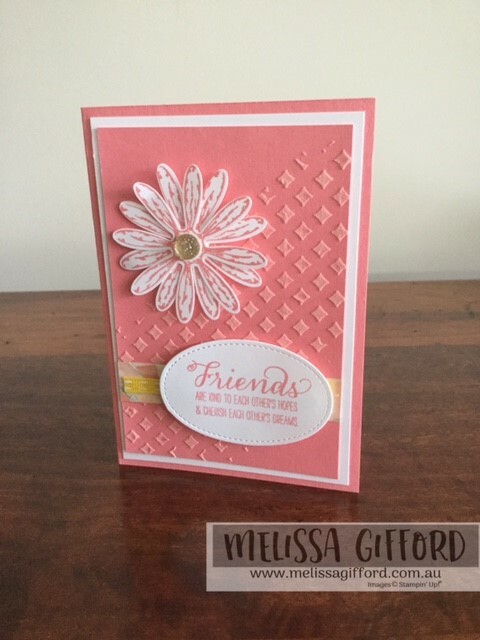 The ever popular Daisy punch and the sentiment is from Garden in Bloom. The clouds we left in the natural, white embossing paste. 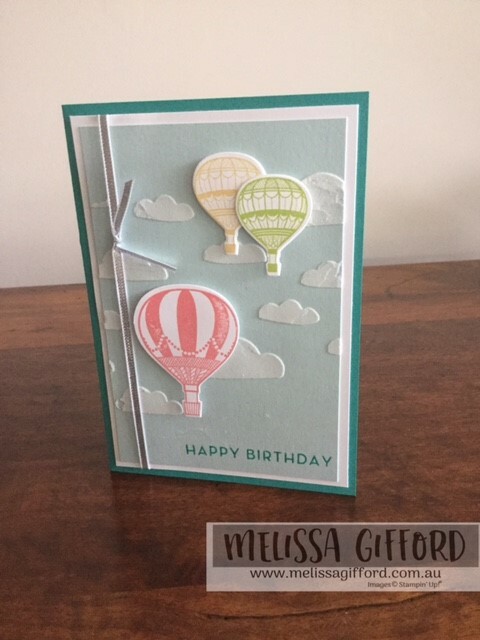 I love the powdery, fluffy clouds and the colourful balloons make the card suitable for all ages and gender!